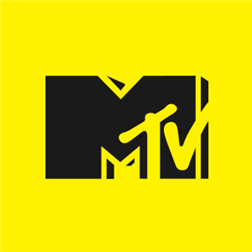 Watch MTV shows on your Windows Phone! Just sign in with your TV provider to watch recent episodes from select MTV series. Access is included with your TV subscription. You won’t need to sign in to watch tons of other great video from MTV shows, including sneak peeks, after shows, bonus clips and exclusive, original content from your favorite MTV series including Catfish, Awkward, Teen Wolf, Teen Mom 2, Ridiculousness, Real World, Nikki and Sara and more! Get all the additional video MTV creates in one place – the latest in pop culture news and info from MTV News, fashion with MTV Style, go behind the scenes of the blockbuster movies with MTV Movies, get your comics and games geek on with MTV Geek, stay in tune with big name and emerging music artists with MTV Hive and much more! Watch funny, sometimes outrageous, exclusive, digital original series from MTV Other. Follow coverage of the MTV Video Music Awards, the MTV Movie Awards, summer music festivals and more. Xbox Video is FInally Available on the Windows Phone Store!